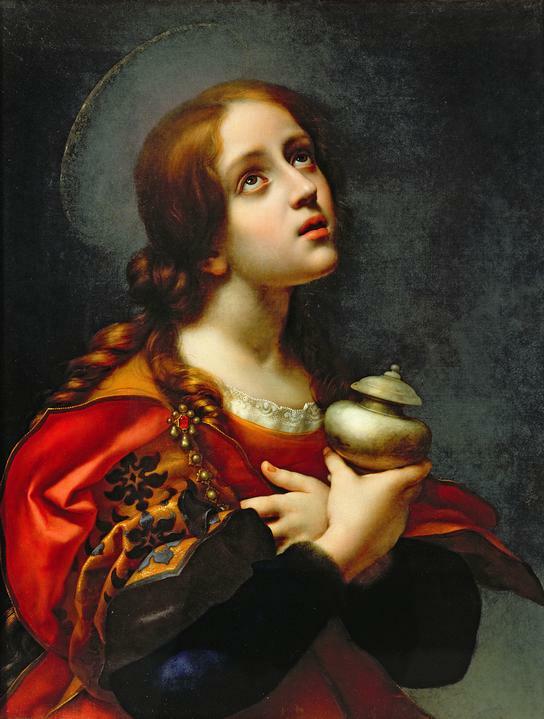 St Mary Magdalen Day this year will be celebrated next Sunday, medications 24th July. The main Mass will have special music, website and afterwards there will be something to eat. I have been asked to ask you to bring food for a buffet. If someone is able to arrange flowers, it would be good to bring flowers for our Holy Patron by Friday. 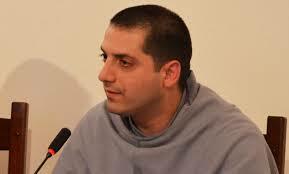 Men’s Group are organising a Day of Prayer on Saturday 27th March with Fr Serafino Lanzetta FFI who is now Assistant Priest in Gosport. Previously he taught theology in Rome and had been described as one of the most brilliant Franciscan theologians of our generation. I hope that during the Year of Mercy we will have regular Days of Recollection. I would like to start something in the Parish for men, malady I am not entirely sure what it should be but men in Brighton so often live isolated lives and work crazy hours. Often they live lives that are highly stressed, in Brighton they are likely to suffer from stress and addictions and become the victims of homelessness and suicide. In our parish we have lots very impressive men, remedy often they have had profound life experiences, that have given them deep wisdom and experience. The Church, families, the world, needs strong men, the Gospels are almost a manual for manliness, for being truly human, for brotherly love because Jesus Christ the God-man is our model in the service of God and the world. If you think this is an idea which has possibilities, join me this Wednesday evening, after Benediction to put some flesh on my ideas and to share your own. 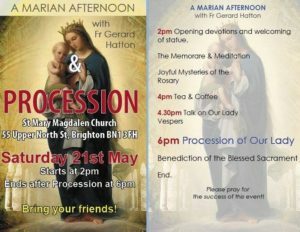 Why not come to Exposition and Benediction 6.30 –7.30pm, the meeting will end by 8.30pm. Many thanks for all that prayer during ‘Forty Hours’, there was a beautiful sense in the Church throughout those two days. Bishop Richard wanted to come and wasn’t able to but kept us in his prayers. It was good to see other priests visiting to pray with us, I was pleased to see Mgr Tony Barry and Fr Gerard Hatton from Crawley, a few of our local clergy, Fr Tadeusz and the Polish community were much in evidence, as well as people from over the deanery – pass on my thanks and appreciation. I was very grateful to the school for bringing over the children but most of all I am very grateful to you, and most especially to those ‘watchers of the night’ who were in the small hours whilst the world slept. I am grateful too to the servers who changed candle after candle. I don’t know how but I know God will reward our parish and the individuals who took part. If you want to take home the candles you sponsored which burnt before the Blessed Sacrament please do so. Our 40 Hours devotion began with Mass at 8am this morning. Please do come and pray with us in front of The Lord between now and midnight tomorrow. Our own contribution to the Diocesan Jubilee celebrations willbe 40 Hours of Eucharistic Devotion beginning on Monday 29th June at 8.00am and ending at midnight on Tuesday. It will be continuous going through the night. On Sunday we will start signing up people to watch throughout the 40 hours and selling candles to be used to illuminate the Lord as we watch with him. There will also a collection flowers over the next few weeks. We will need men to watch and pray through the night, dosage and retired people pray through the day, we need everyone to invite their friends to this time of grace and healing. We have two upcoming Solemn Masses in the Extraordinary Form. On the 14th of May, capsule we will have Mass at 7:30pm for the Feast of the Ascension. On the 29th of June, information pills we will have Mass at 7:30pm for the Feast of Ss Peter and Paul. We will also have a sung Mass in the Extraordinary Form for Corpus Christ on the 4th of June. This will be followed by a short procession and benediction. Please do try and join us for these Masses. If you are coming, bring a friend! We will have Rhoslyn Thomas from SPUC joining us on Tuesday the 19th of May. Rhoslyn is the Youth and Education Officer for SPUC and also manages their intern programme. She will be speaking on the work that SPUC does and on pro-life issues in general. Mass will be celebrated in the church at 7pm with the talk to follow in the community centre. There is a Facebook event page set up for this as well.